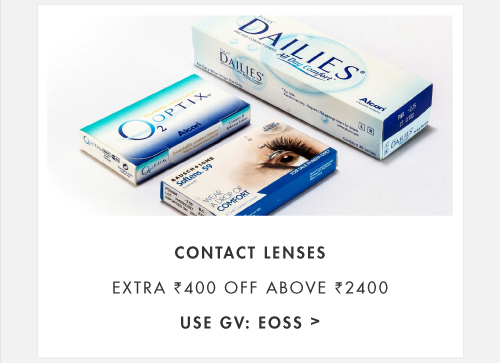 The maximum discount that can be availed under 30% off is Rs.200 above Rs.1200 and Rs.400 above Rs.2400 on Contact Lenses. 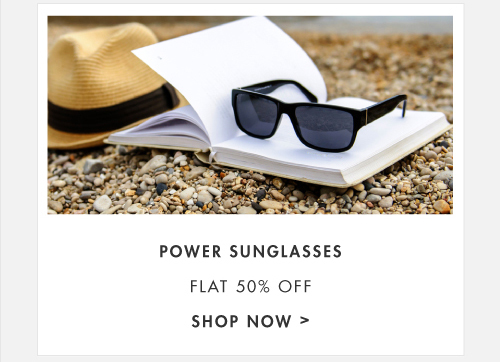 The maximum discount that can be availed under 30% off is Rs.300 above Rs.1100 on Sunglasses. 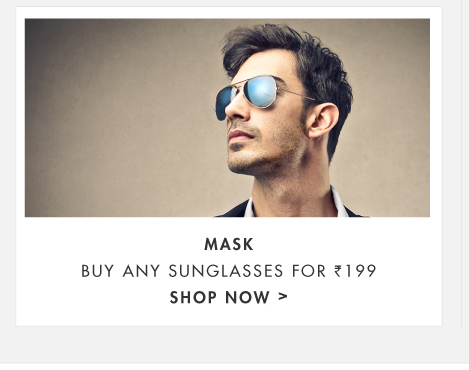 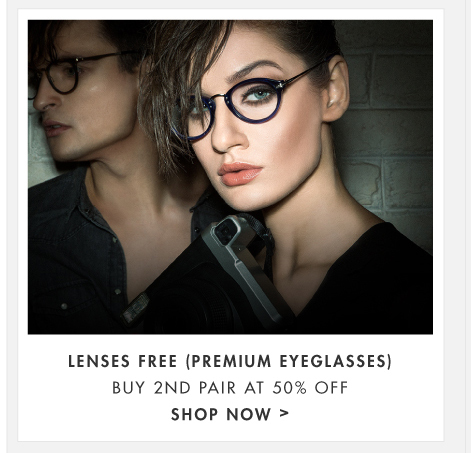 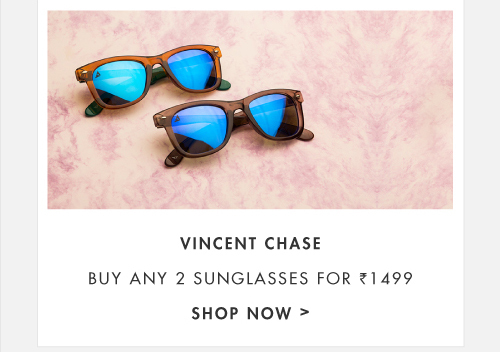 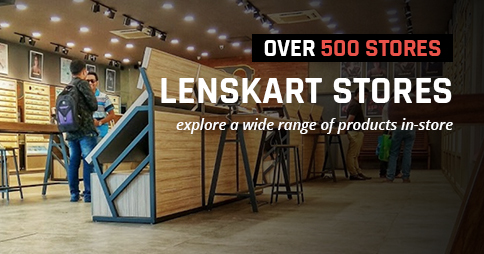 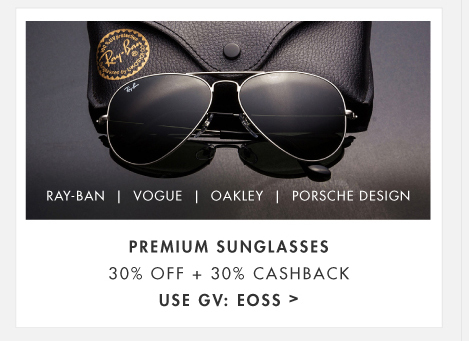 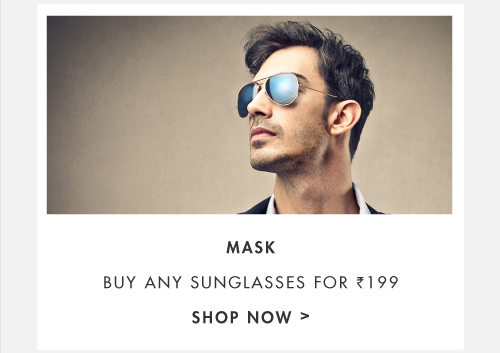 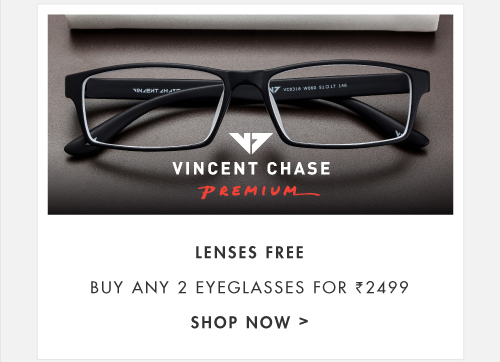 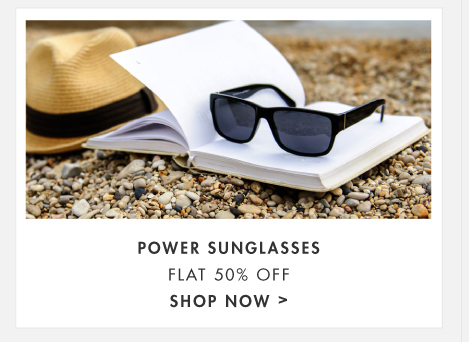 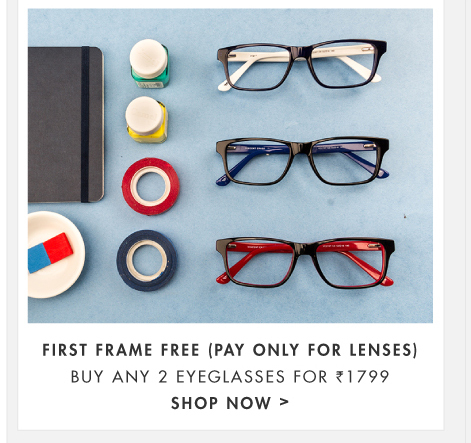 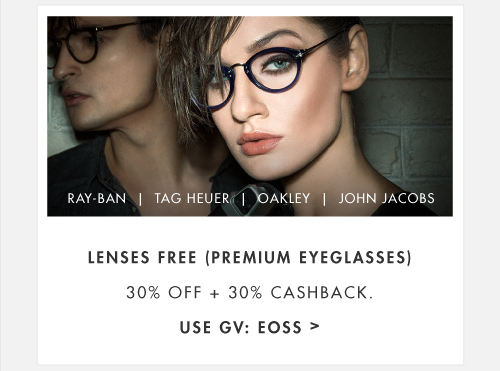 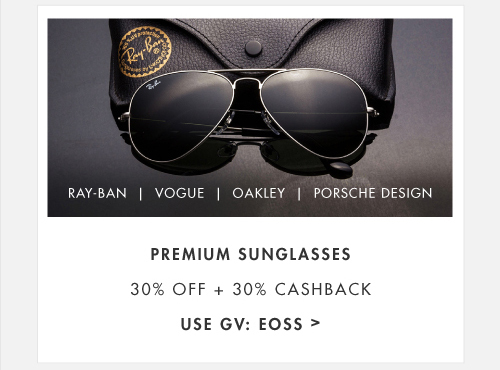 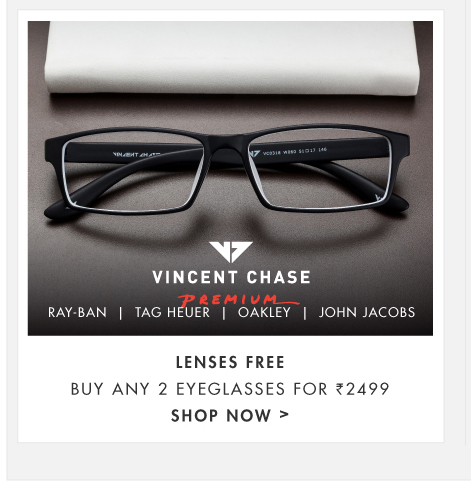 The offer is not applicable on Vincent Chase, Mask, Fastrack & IDEE eyewear. 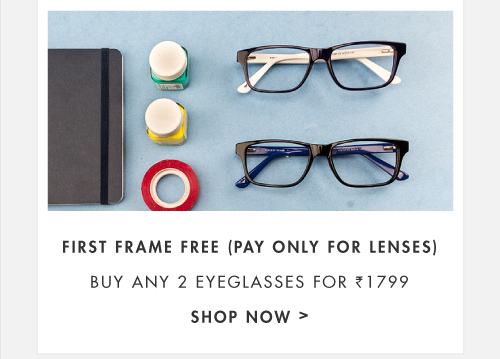 Offer is not applicable on Frame only orders. 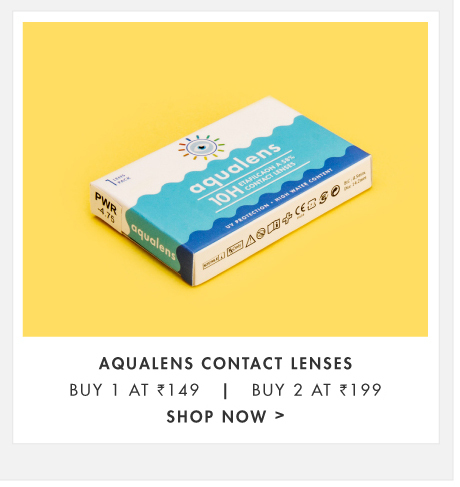 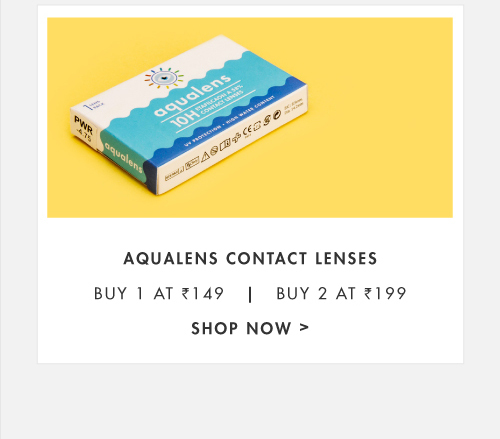 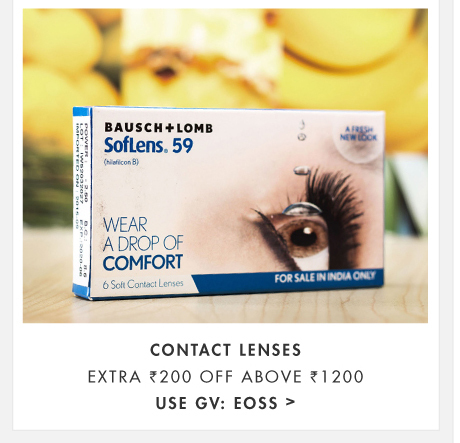 Offer is not applicable on Lens only orders. 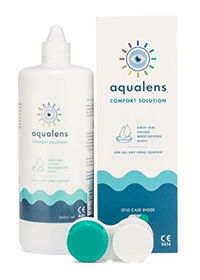 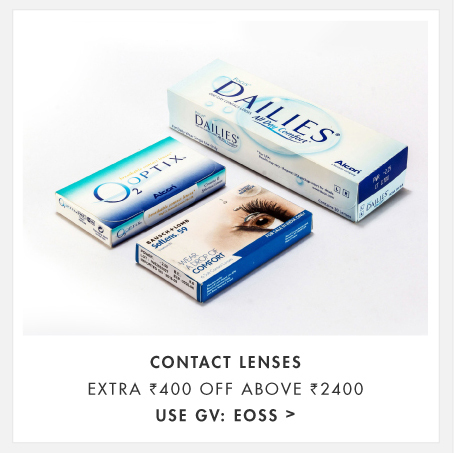 Offer is not applicable on O2 optix Contact lenses, solution & eyewear accessories. 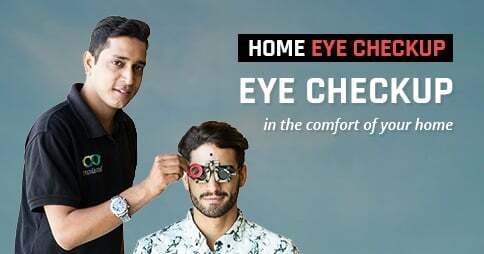 30% Cashback will be provided in the form of Gift Voucher (Maximum cashback of Rs.300) and will be mailed after 30 Days of Purchase. 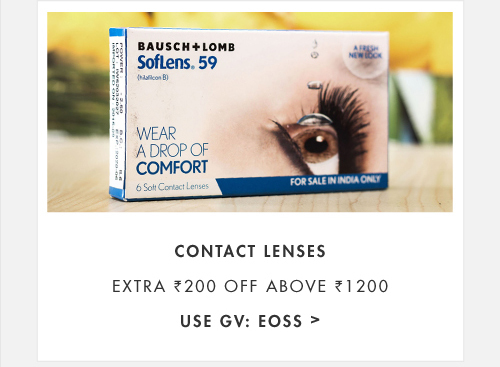 Mentioned offers are applicable on Single Vision only.